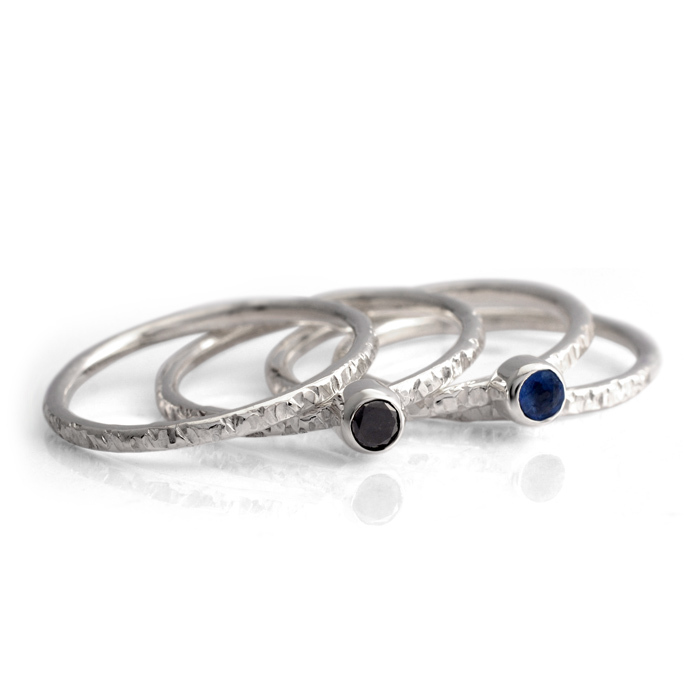 A set of four Sterling Silver individual rings with a hammered texture and bright polished finish. 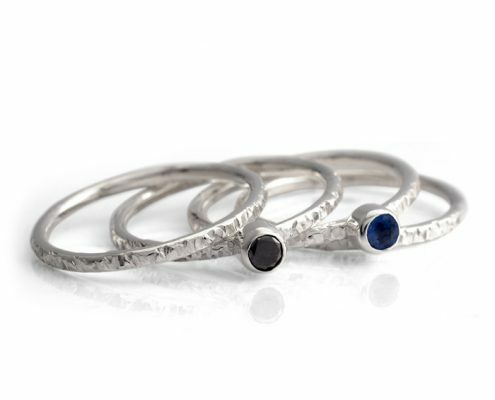 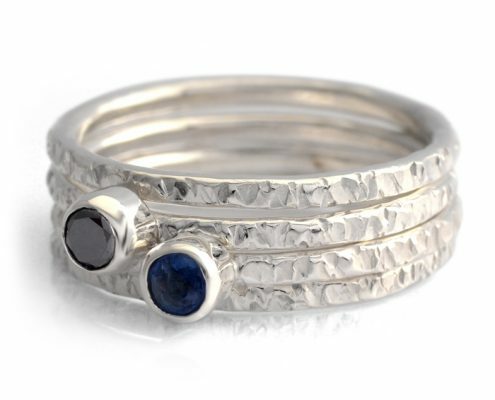 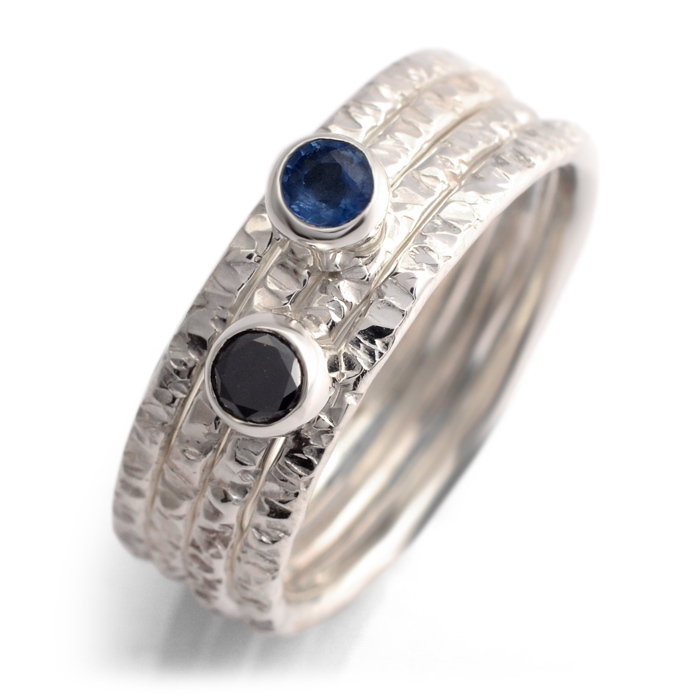 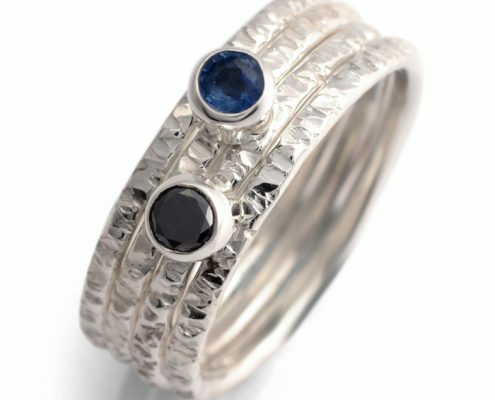 Two of the rings feature bezel set gemstones – a round brilliant Black Diamond and Blue Sapphire, each weighing 0.15ct. 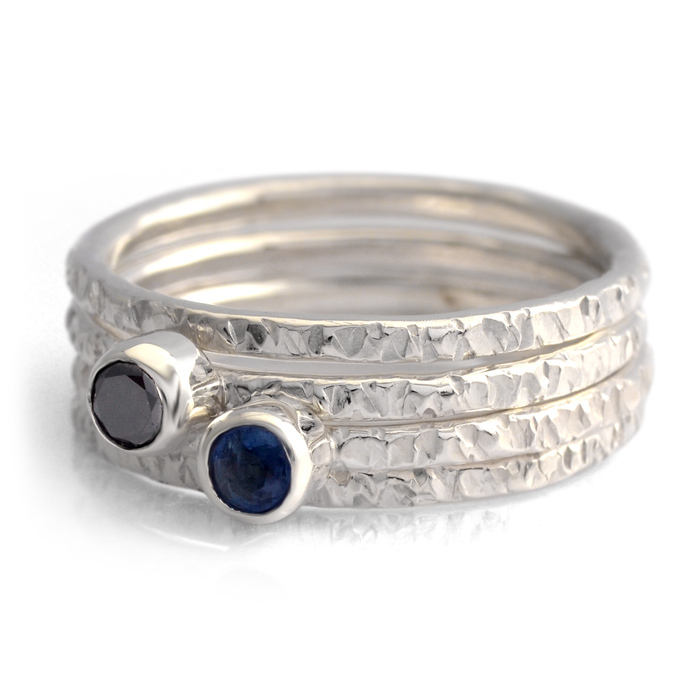 These rings can be worn on their own or as a set, in any combination.